Wound healing occurs as the body naturally restores damaged tissue. 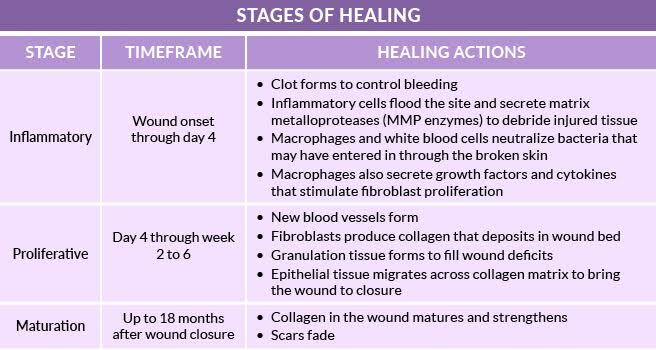 Wound healing is a complex series of events and interactions that result in an orderly process with 3 overlapping, yet distinct stages. What interferes with wound healing? Unfortunately, there are times when the wound fails to progress through the orderly wound healing process. This is commonly the result of an extended inflammatory phase, often caused by increased matrix metalloproteases (MMP’s) in the wound. 2 MMP’s are necessary to break down damaged tissue, however too many can destroy the healthy extracellular matrix and impede wound healing. Bioburden, or the presence of biofilm in the wound, can also delay the wound healing process. 5 When delayed wound healing occurs, collagen dressings can restart the wound healing cascade. 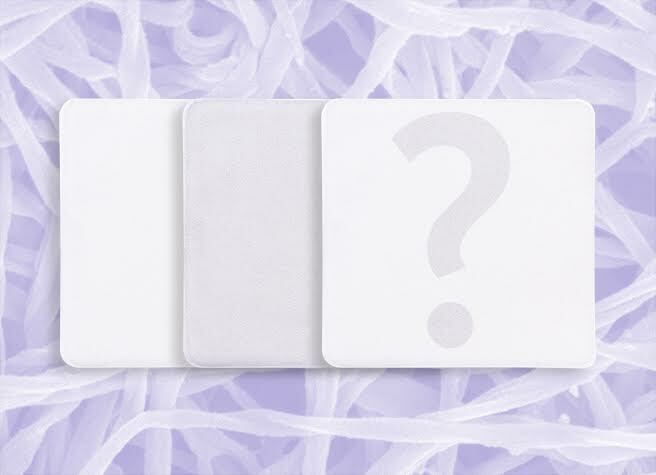 How do collagen dressings support wound healing? Excessive MMP’s in the wound bed can interfere with the normal wound healing process. Collagen dressings bind and inactivate MMP’s found in the extracellular matrix. MMP’s attack and break down collagen, so collagen dressings give these enzymes an alternative collagen source. 4 This allows the body’s natural collagen to be readily available for tissue growth during the wound healing process. Collagen dressings are available in many forms. They can be found as an amorphous gel to provide moisture or in sheet or powder forms that are capable of absorbing various levels of wound exudate. Collagen dressings may also be combined with silver to deter bioburden or biofilm in the wound environment. Some collagen dressings are combined with additional ingredients such as ethylenediaminetetraacetic acid (EDTA), carboxymethyl cellulose (CMC) or alginate to enhance the performance of the collagen, giving a dual action to decrease MMP activity or control exudate. NEW! DermaCol 100™ DermaRite’s newest collagen dressing, DermaCol 100, is a highly absorptive type 1 bovine powder, that is easily applied for intimate contact with the wound surface. DermaCol 100 supports moist wound healing and granulation tissue formation, binds and decreases MMP levels at the wound site. DermaCol 100 features extended wear time and may be left in place up to 7 days*. 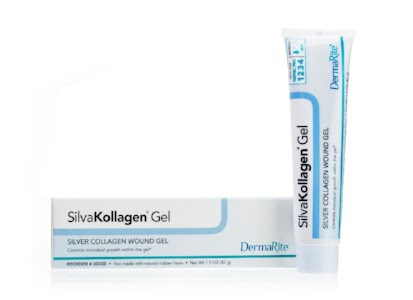 SilvaKollagen Gel® is a hydrolyzed type 1 bovine collagen gel infused with silver oxide. The water-based gel supports moist wound healing and autolytic debridement. SilvaKollagen Gel is conformable, maintains intimate contact with the wound bed and manages bioburden. SilvaKollagen Gel is used for wounds with dry to moderate wound drainage. DermaCol™ is made from porcine collagen with sodium alginate, CMC and EDTA for dual MMP inhibition. The dressing transforms to a soft gel and conforms to the wound bed when in contact with wound exudate. DermaCol supports moist wound healing and may be trimmed and layered for management of deep wounds. DermaCol may be applied to wounds of any drainage level. Moisten the dressing prior to application for dry or minimally draining wounds. DermaCol Ag™ is infused with silver to decrease bioburden in the wound environment. DermaCol Ag is a gelling dressing that is easy to apply and conforms to the wound bed when in contact with wound exudate. DermaCol AG may also be trimmed and layered to manage deep wounds and can be applied to wounds of any drainage level. Moisten the dressing prior to application for dry or minimally draining wounds. * Dressing wear time is always based on the condition of the wound and caregiver assessment. 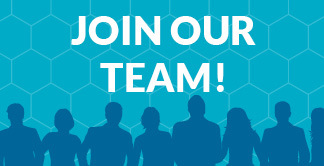 Consult MD or qualified health care professional for specific medical guidance on dressing change frequency for individual treatment plans. Hochstein, A. O., DPM, & Bhatia, A., DPM. (2014, August). Collagen: Its role in wound healing. Podiatry Management. Harding, K., & Leaper, D. (2011). Role of collagen in wound management. Wounds, 7(2), 54-63. Fleck, C. A., & Simman, R. (2010, September). Modern Collagen Wound Dressings: Function and Purpose. Journal of the American College of Wound Specialists, 2(2), 50-54.